Dr. Amanda Gurny earned her Psy.D. in clinical psychology from the Michigan School of Professional Psychology. She also received her master’s degree in clinical psychology from the Michigan School of Professional Psychology and her bachelor’s degree in psychology from Louisiana Tech University. Dr. Gurny completed her pre-doctoral internship at Albion College Counseling Services. She has clinical experience working with adolescents and adults helping them overcome struggles associated with depression, anxiety, stress management, adjustment to life transitions, grief and loss, family conflict, relational issues, divorce, sexual assault, trauma, bipolar personality disorder, borderline personality disorder, ADHD and academic stressors. 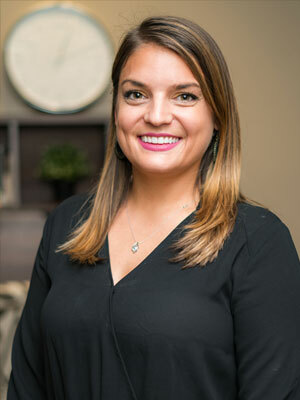 Dr. Gurny utilizes a humanistic approach to therapy; she values the therapeutic relationship and strives to embrace the unique differences and experiences of each person she works with. She aims to provide a safe and supportive environment for clients to process their experiences and emotions without fear of judgment. Dr. Gurny uses a collaborative, strength based approach to tailor treatment for each individual client.